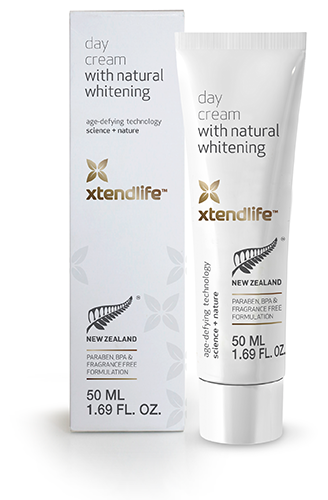 Xtend-Life has recently introduced a new addition in their extensive line of effective all-natural skincare products – the natural whitening day cream. The unique formula within this cream allows the user to whiten their skin naturally using various synergistic ingredients. The Natural Whitening Day Cream is actually very similar to their Age Defense Active Day Cream, with the addition of several ingredients that give the skin a glow by boosting the body’s natural restorative and regenerative functions. Xtend life natural whitening day cream has been praised as the safest way to lighten your skin tone without expensive and risky treatments that can irritate or even damage the surface of the skin. In this review we’ll discuss some of the main active ingredients in the xtend-life natural whitening day cream to discover why so many people are promoting its effectiveness. The natural whitening day cream utilizes nine main active ingredients – Natural Vitamin D, Grapeseed Oil, Babassu, Maracuja, Crodamol OP, Phytessence Wakame, Nano Lipobelle (a special form of Coenzyme Q 10), Xtend-of TK, and Extrapone (Nutgrass Root). Amongst these, perhaps the most crucial ingredient is the Nutgrass Root, which has been scientifically proven to lighten skin tone naturally by inhibiting the production of melanin, which is responsible for the appearance of skin pigment. In addition, this beneficial root has also been shown to have powerful antiaging properties, and has been shown to reduce the appearance of unsightly freckles and skin spots. The other unique ingredient that contributes to the skin lightening process is Maracuja, which is a natural emollient that is extracted from passion fruit and is indigenous to Brazil. This ingredient helps to stabilize sebum production to keep skin from becoming too dry or too oily. Can Whitening Day Cream Cause Irritation? Xtend Life Natural Whitening Day Cream is specifically designed to accommodate the needs of all skin types, so whether you have average, oily, dry, or acne prone skin, you should be able to use this product without having negative reactions. This is because Xtend-Life does not use any unnatural chemicals or fragrances that have been shown to not only irritate the skin, but also cause possible allergic reactions when inhaled. Thus, Xtend-Life products are also usually not aromatically irritating either, as they have a very faint odor that is purely the result of the natural extracts, which quickly fades as it absorbs into the skin. In fact, even individuals with Rosacea can realize benefits from using Xtend Life Natural Whitening Day Cream. How Does Xtend Life Natural Whitening Day Cream Lighten Skin Tone? The key to Xtend-Life Natural Whitening Day Cream’s skin lightening effects is the aforementioned Nutgrass Root, which has been scientifically proven to reduce melanin production by up to 40% in clinical trials. Melanin is responsible for skin pigmentation, and is seen in higher concentrations in ethnic groups that have darker skin. In essence, individuals with lighter skin have low melanin levels, while individuals with darker skin have high melanin levels. While the root has been shown to reduce melanin production, it has also been clinically proven to be free of harmful side effects. In fact, the root was originally used in the development of product that was supposed to be an anti-irritant, and after being used in several clinical trials the desirable skin whitening effects were discovered. Another aspect of the widening day cream that contributes to a lighter skin tone and a more vibrant appearance is the presence of natural ingredients that stimulate collagen and elastin growth, boost levels of hyaluronic acid, and eliminate carcinogenic free radicals. Fade unsightly blotches and age spots while nourishing your skin naturally with Xtend life natural whitening day cream.